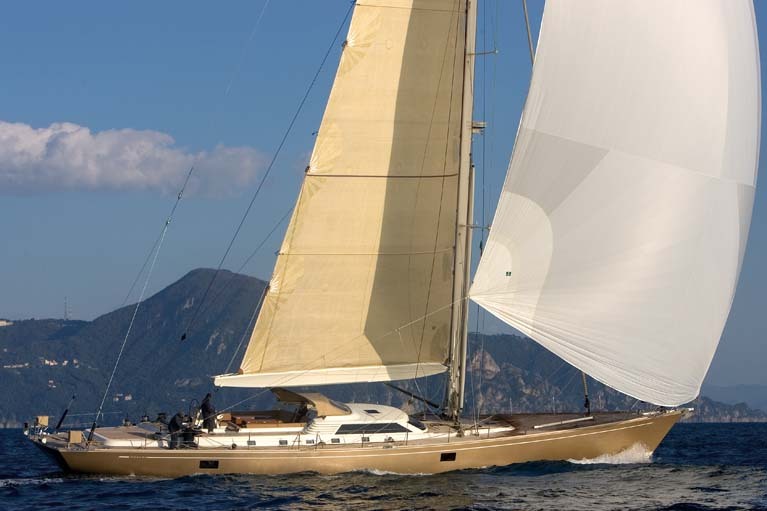 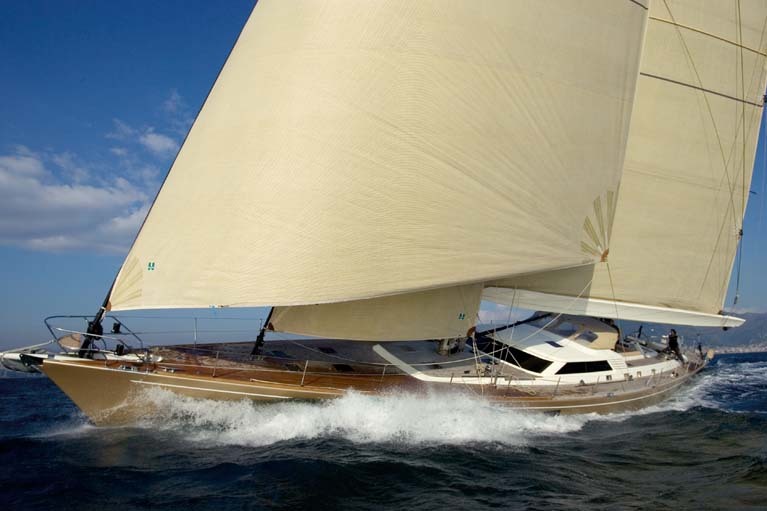 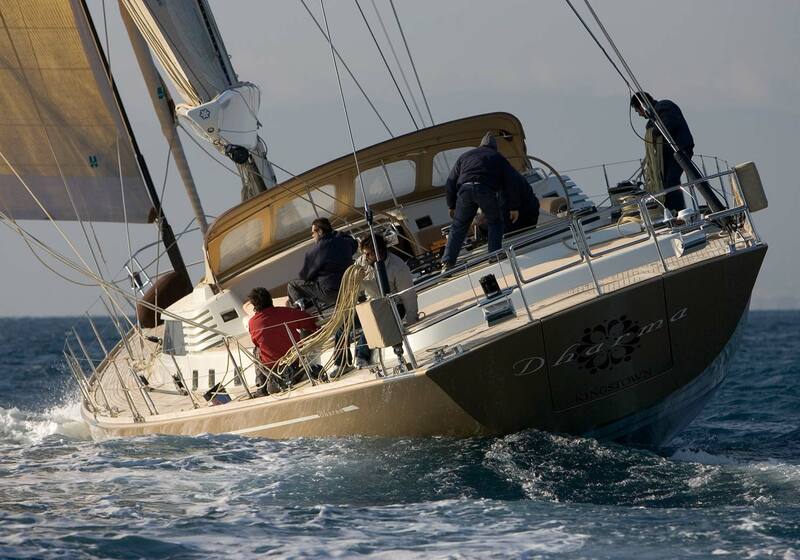 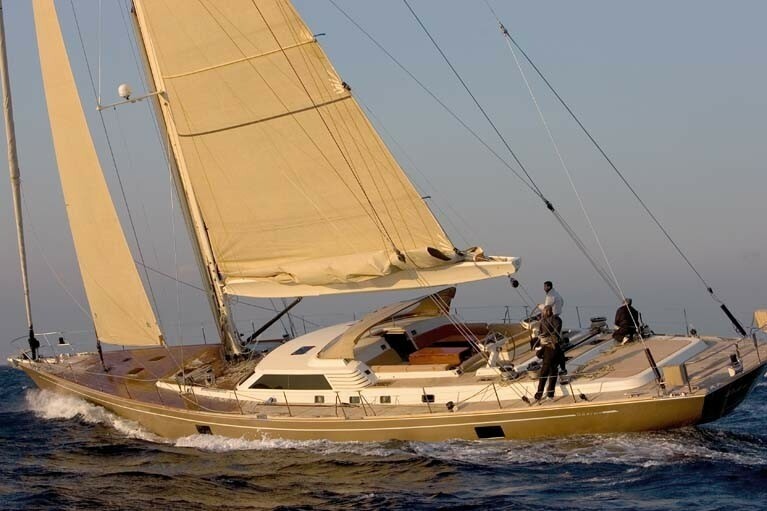 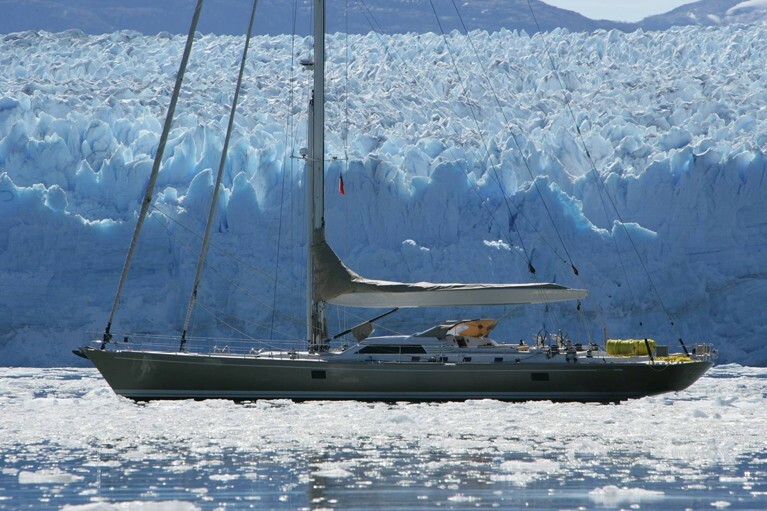 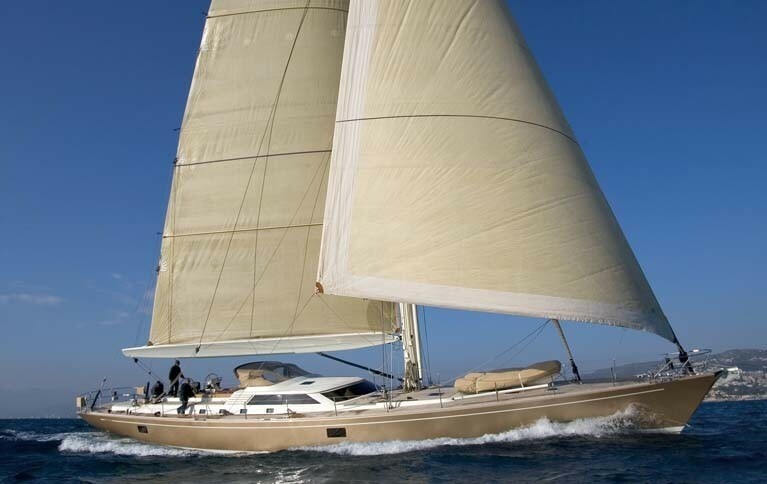 Luxury sailing yacht DHARMA was designed to be well renowned Farr Yachts and built by Southern Wind Shipyard in 2005, the yacht received an extensive interior and exterior refit in 2011. 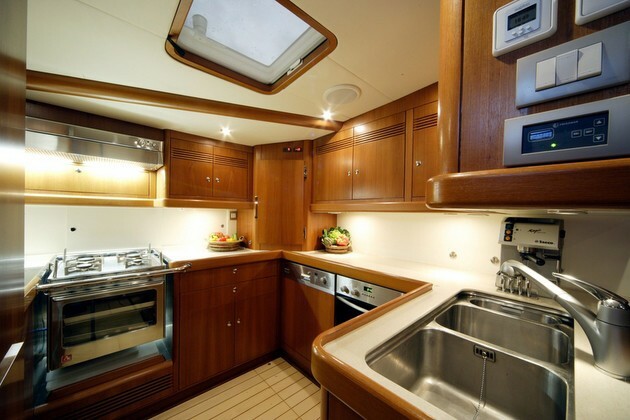 Her unique metallic gold hull stands out from the rest and will be sure to turn heads and can accommodate up to 8 guests in 4 en-suite cabins. 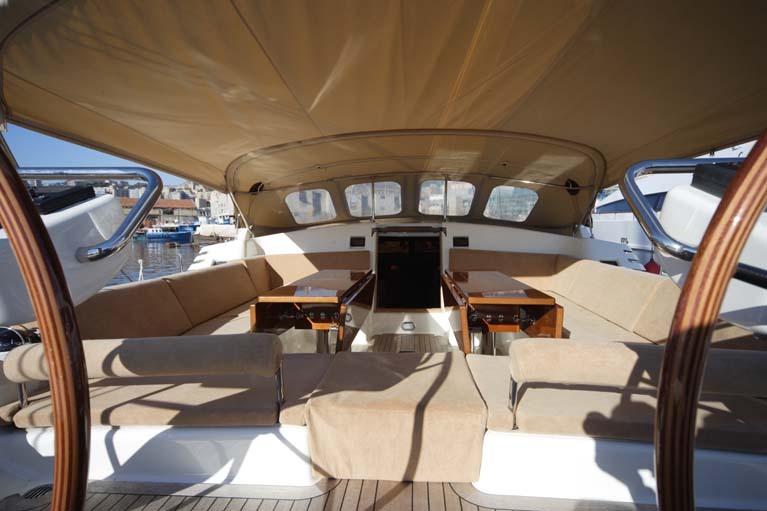 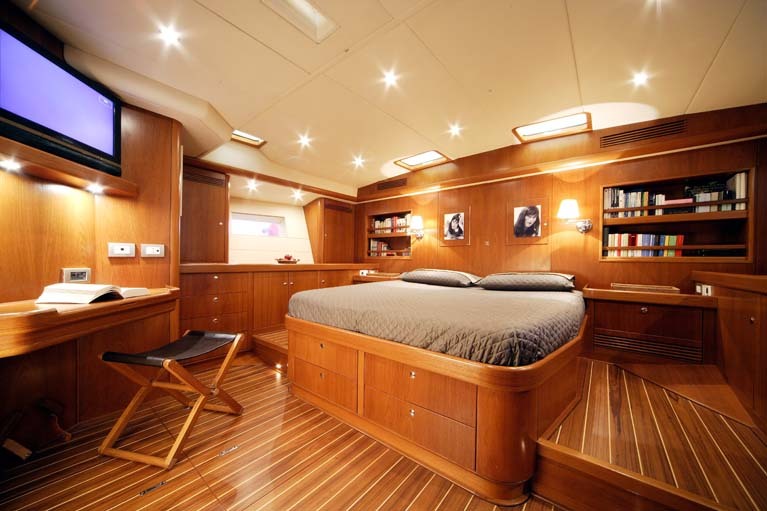 She has a tasteful neutral interior, designed by Nauta Yachts, her floors are all teak and holly inlay, the panels a warm medium tone, her soft furnishings a subtle cream, creating an elegant yet simplistic ambiance. 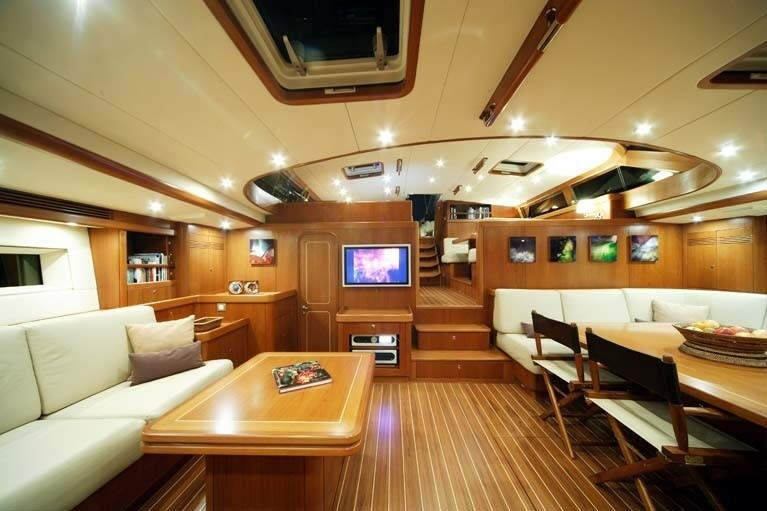 Upon entering the companionway, an upper salon offers the chart table to starboard and a casual lounge space with a table to port. 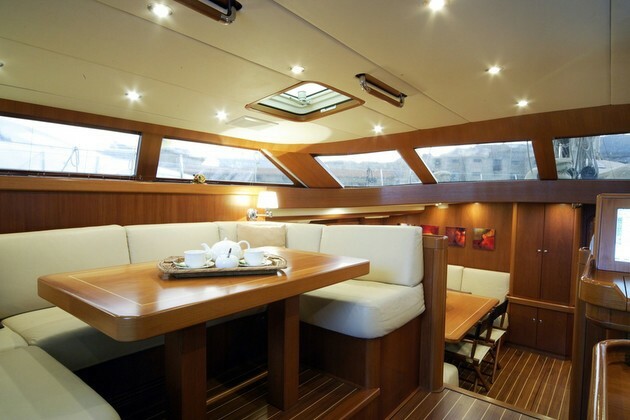 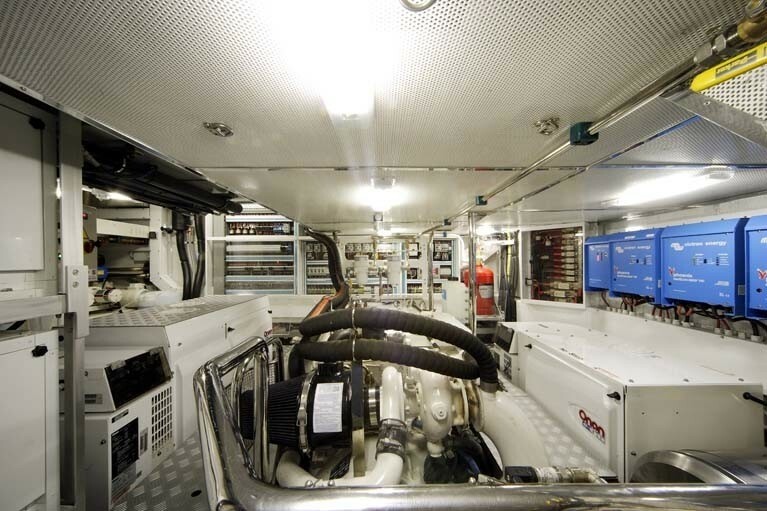 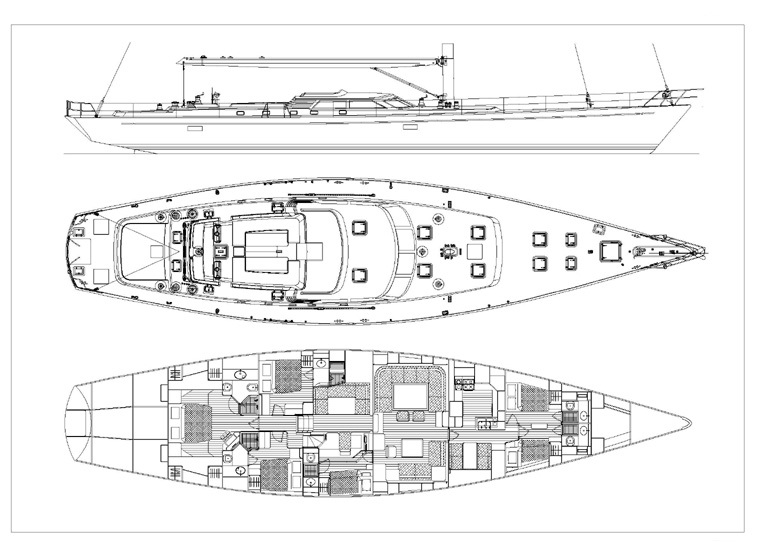 Forward and slightly lower, the full salon offers formal dining to port and a complete lounge area to starboard. 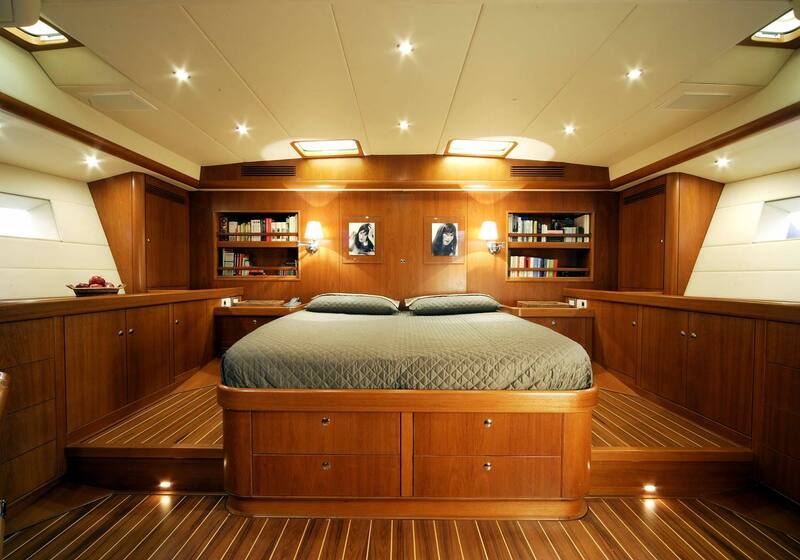 All guests accommodation is aft of the main salon. 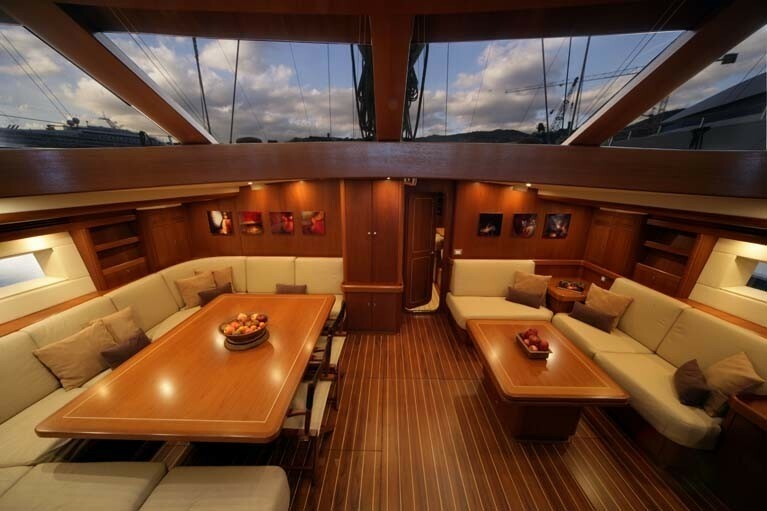 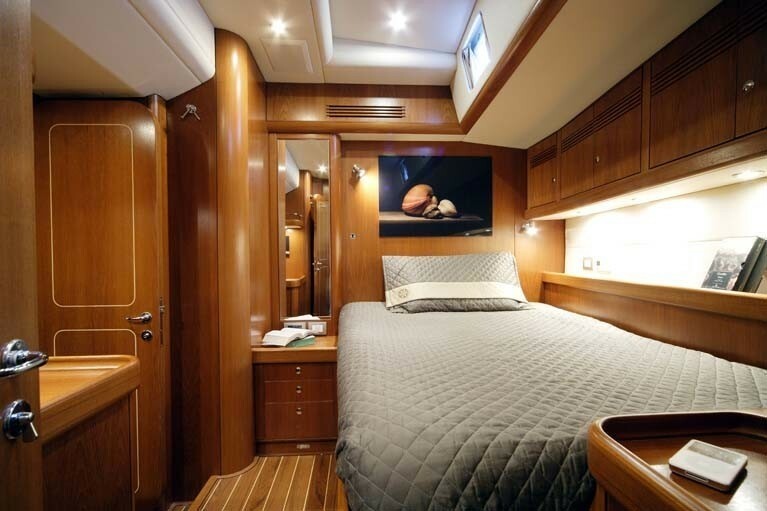 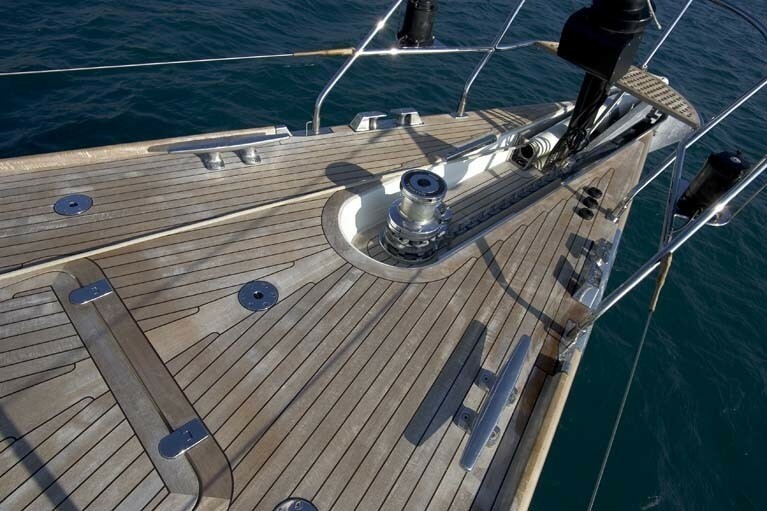 The Southern Wind sailing yacht offers plenty of exterior areas to relax. 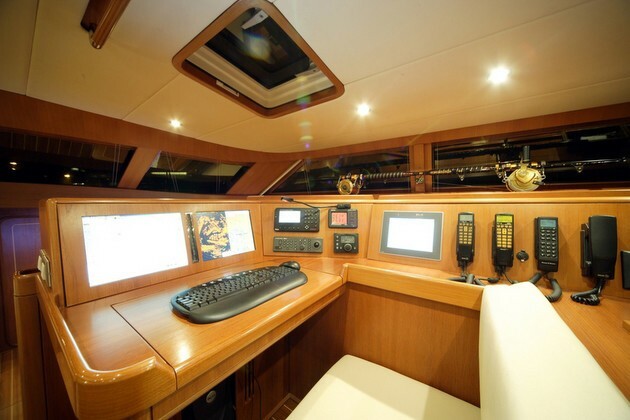 A guest cockpit is forward of the dual helms and free from lines, offering 2 alfresco dining tables and a walk through, making this the ideal place to watch the crew in action while under sail. 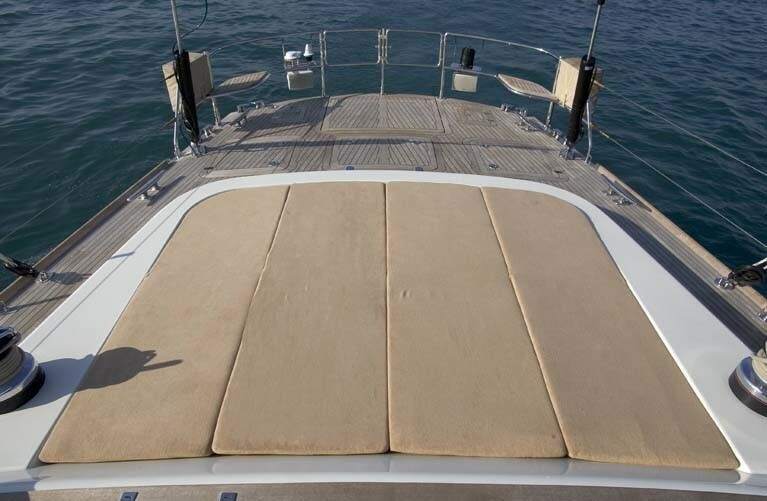 Optional shade can be provided by a collapsible dodger and Bimini cover. 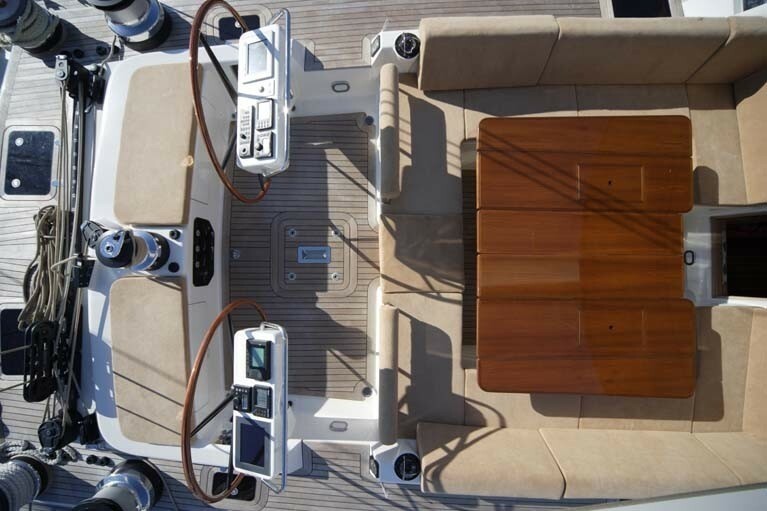 Aft of the helms, a massive sun pad is invitingly comfortable. 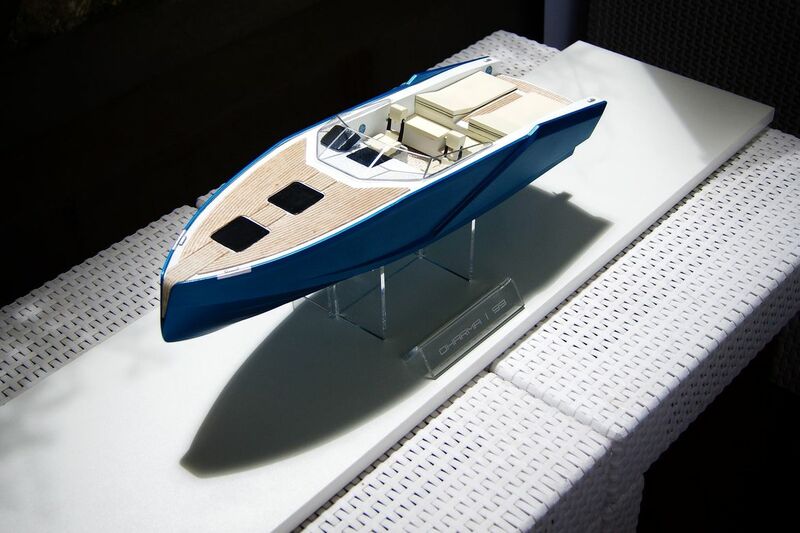 Water enthusiasts will find the water toys on offer a great addition from the opening transom. 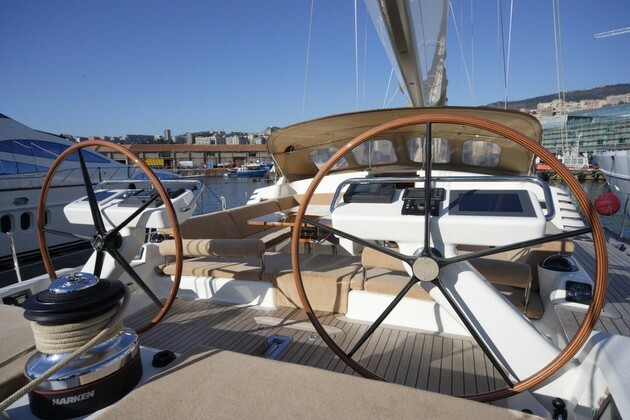 DHARMA has flush wrap around decks, allowing for ample further space to relax once at anchor as she also boasts carbon standing rigging, Kevlar spectra running rigging, hydraulic winches, and carbon spectra sails by Doyle. 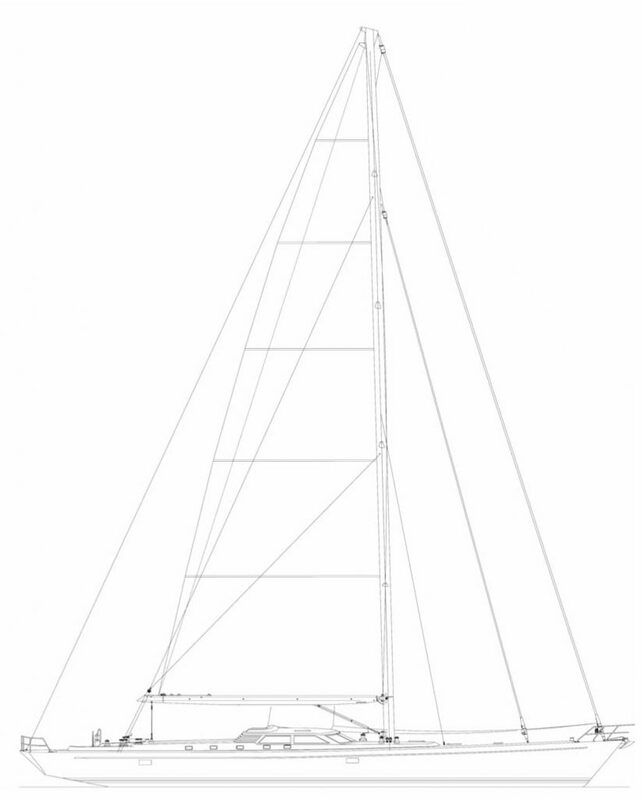 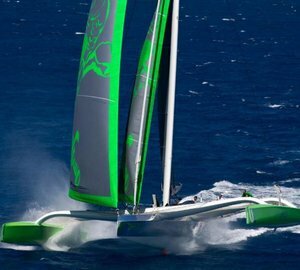 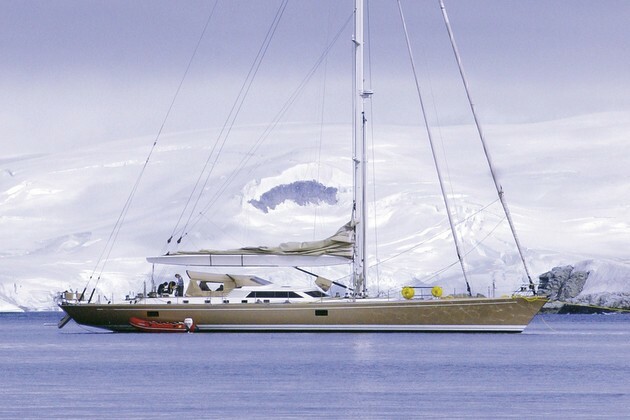 This twenty-nine meter (95ft) sailing yacht has a beam of 6.8m (22.3ft) and a draft of 3.5m (11.5ft), she is powered by a 350hp Cummins engine and when under sail boasts over 480 square meters of sail area. 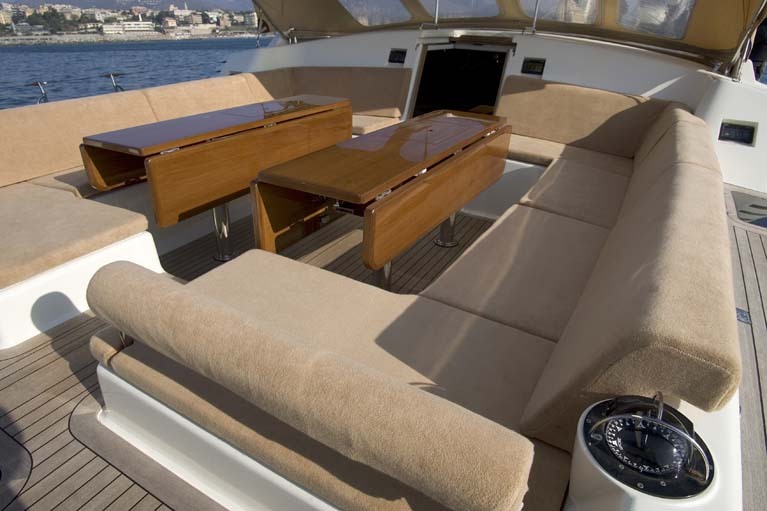 The yacht cruises with ease at 10 knots.